Jackie Fo: Party Box Design Does Weddings! Party Box Design Does Weddings! You guys have heard me wax on and on about Jess from Party Box Design. Her whimsical party invites set a seriously fun tone for any get together, and myself and my sis (in-law) have used her about a gazillion times. But did you KNOW that she does wedding invites? Brightly colored and swirled with fancy fonts galore, Jess' wedding paper products will start your wedding style off with a bang! Eat, Drink & Be Married is one of my fave designs! I love the entire suite! If you are having a beach wedding, or even better, a wedding on a boat (can you imagine!! ), these nautical invites are perfection. Anchors Away, for all my Delta Gamma gals! Jess does more than just wedding invitations, she covers the whole gamut of wedding-themed events! 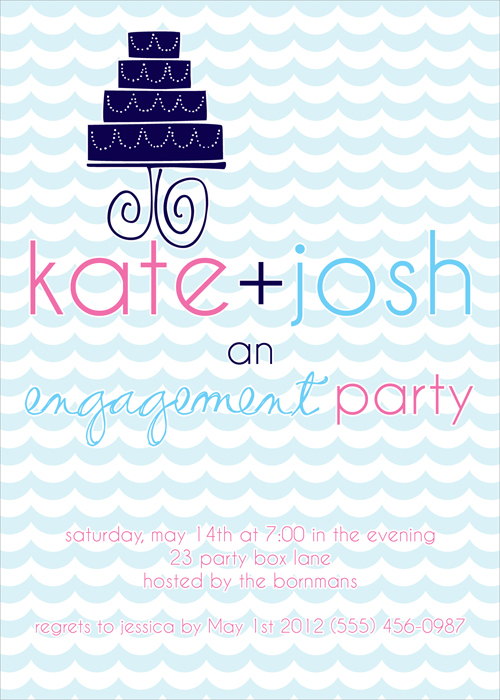 I looooove this engagement party invitation. Adorbs. 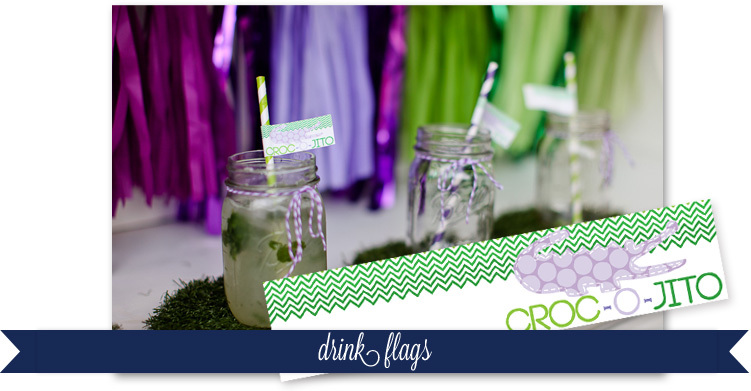 These drink flags would be absolute perfect to showcase a signature cocktail! Stickers would be great for wedding favors! 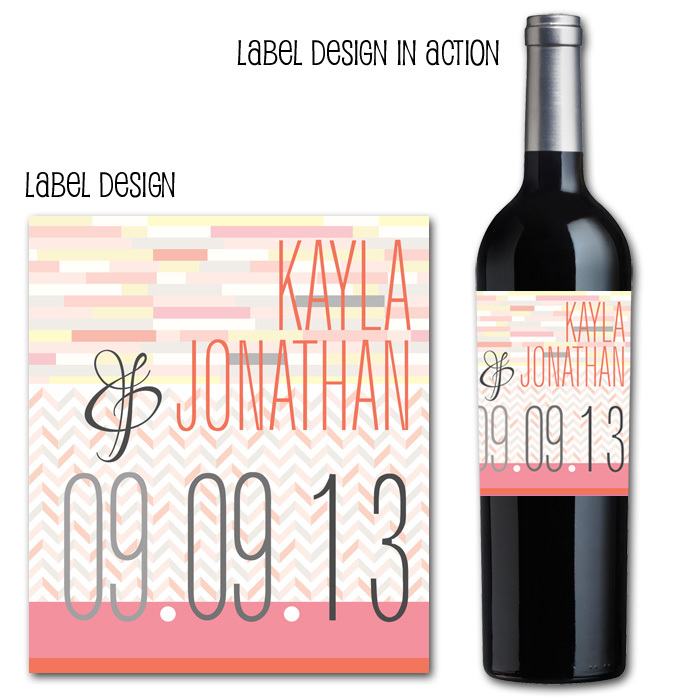 So would these wine bottle labels! Pick from any of Jess' already created designs, or purchase a custom package. Party Box Design can take your vision and create something you can tie into all of your paper products for your wedding. Seriously check her out if you are looking for invitations, party accessories, or just some eye candy! If you want to buy your invites from a super fun, hard-working mama who turned her dream into a reality with a lot of elbow grease and talent, Jess is your girl. On that fabulous note, I'm thrilled to say I'm officially on vacay. I know, I know, wasn't I just in Charleston? I was. But this time I'm going on a beach trip with just me and my mom. I'm so very lucky! The next few days will be filled with sunshine (hopefully), reading, swimming and general relaxation. I'm even hoping to do some blogging about my beautiful niece Claire's baptism! I think blogging by the sounds of the ocean sounds vacation-y, don't you? If you are NOT spending your next few days with your toes in the sand, I suggest you survive by making my latest cocktail from Tablespoon. 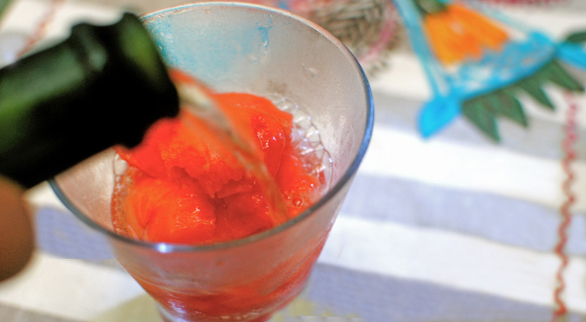 Simply combine your fave champagne with a yummy scoop of sorbet! This sparkling cocktail just screams refreshing! I'll be in touch...from the beach! awe xoxo sweet lady! super nice post! p.s. can we switch, vacay again!?! lucky lady! Party Box Design is the best! !